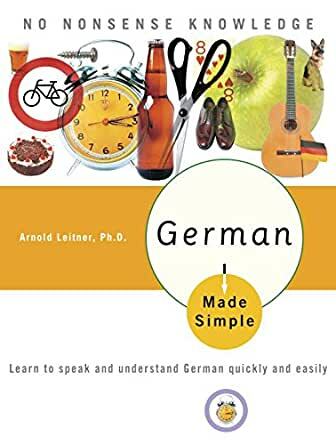 German Made Simple, this book was sent as a gift by my dearest American friend Diana G. when she heard that I would like to study another foreign language Deutsch, she carefully chose the GMS for me. Just as the name shows, GMS can really make your German learning simple and fast if your English is at an intermediate level. Keep practising your German by using this book, and after some time you will find yourself into the world of the German language. Highlights: phonetics; easily understood grammar;German-English dialogues and texts. Besides, all exercises with keys. All in all, this is a good book for those who want to lay a solid foundation for his/her German study. I highly recommend it!